We all know the health benefits of treadmill desks in preventing sitting disease. However, exaggerated marketing claims often mislead readers with promises of dramatic weight loss – eye-grabbing headlines like “Lose 50 lbs in a year!” making the rounds. 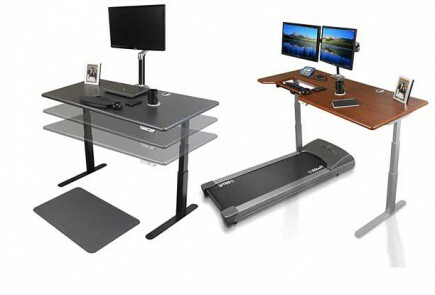 Some eager new treadmill deskers buy into the marketing and expect some kind of miracle panacea – as if their new desk is all they need for a healthy lifestyle. The truth is that, while using a treadmill desk is the best way to combat sitting disease and boost your basal metabolic rate (BMR), it is not a substitute for aerobic exercise (the kind that makes you sweat). 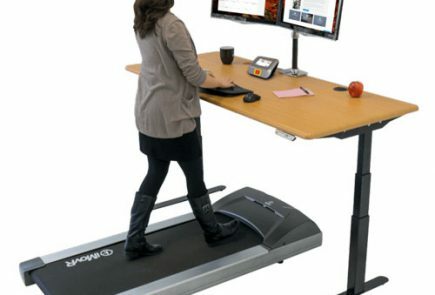 Most importantly, a treadmill desk shouldn’t be used as a weight-loss tool. Cardio exercise and resistance training, along with proper dieting, are essential to achieving overall health. For people who don’t ordinarily get enough real exercise, the treadmill desk is an ideal gateway for building up stamina and lower body strength: it serves as a bridge between inactivity and getting a vigorous workout. A treadmill desk can play an important role in your daily routine, especially for more sedentary workplaces: just don’t let it be the end-all-be-all of your daily activity.